Wholly schmuckers. A UK boy has proven that being a pack rat could be beneficial someday! The 11-year-old boy from Nottinghamshire has made a whopping $11,468 from selling his collection of McDonald’s chotchkies! 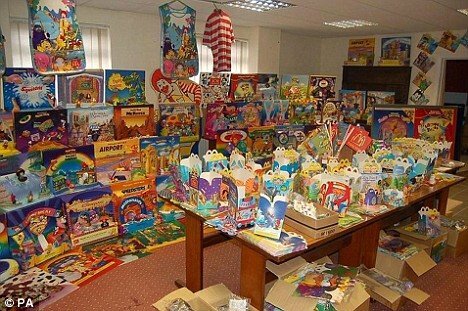 Luke Underwood had 5,000 items from the fast-food chain, including posters, Happy Meal boxes and toys, as well as limited edition displays from the restaurants. His dad bought him the collection, which has been described as “totally unique” for just $350, four years ago. Now Luke’s pocketed $11,468 by selling it off to loads of different bidders from all over the world. He said he was sad to see it go but decided to sell the massive collection because it was taking up so much room at home.